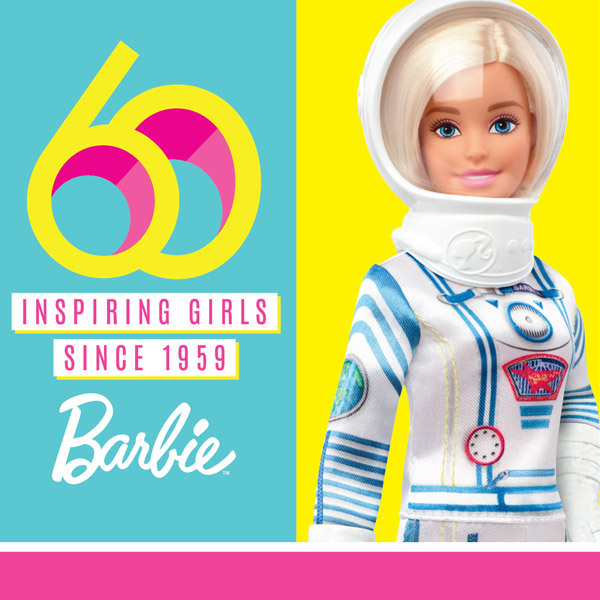 Barbie has endured and stood the test of time – celebrating its 60th Anniversary this year with commemorative 60th Anniversary dolls along with new Barbie dolls and playsets to inspire limitless imaginative play and countless fun storytelling adventures. In fact, there have been over 1 BILLION Barbies sold throughout its lifetime and Barbie has had over 200 careers, inspiring three generations of girls. While Barbie has aged gracefully (or maybe not at all), Barbie continues to remain relevant by continually evolving and introducing meaningful changes that better reflect today’s society. Barbie’s Fashionistas line is the most diverse and inclusive doll line on the market with a wide range of skin tones and body types that inspire richer storytelling experiences. 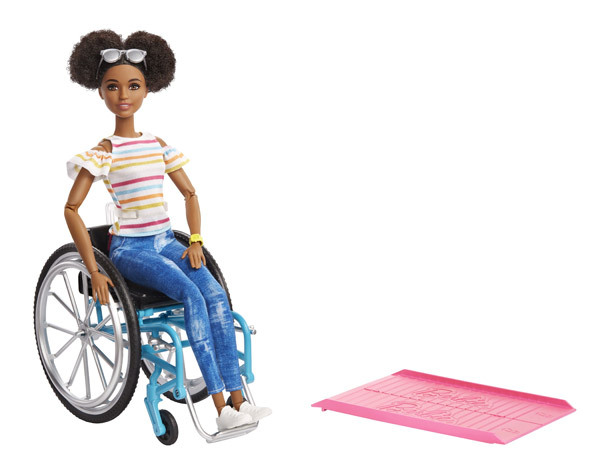 While the Fashonistas line is expanding, it is worth noting Barbie is including a doll in a wheelchair and one with a prosthetic leg. Clearly, Barbie continues to be a trailblazer for inclusivity in the world of toys. 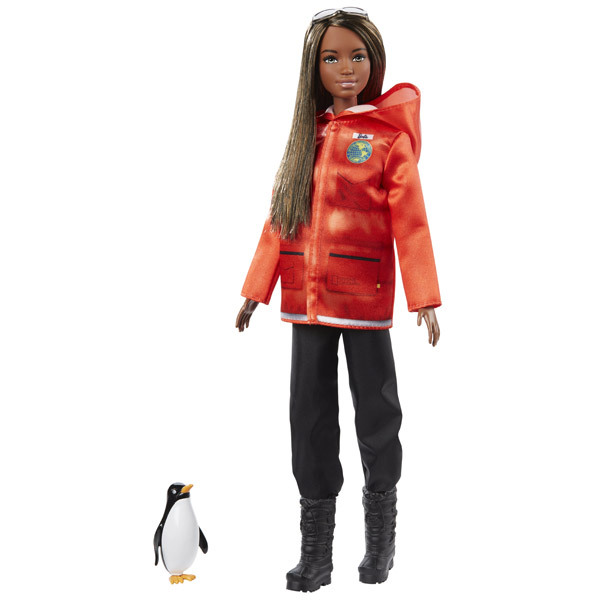 Additionally, this year Barbie is joining forces with National Geographic with new career dolls and environments, shedding light on occupations underrepresented by women. 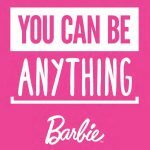 Since its inception in 1959, Barbie has always been about inspiring the limitless potential in every girl and this message is more relevant today than ever. Without further adieu, let’s dive right in and see what’s new and exciting in the world of Barbie! 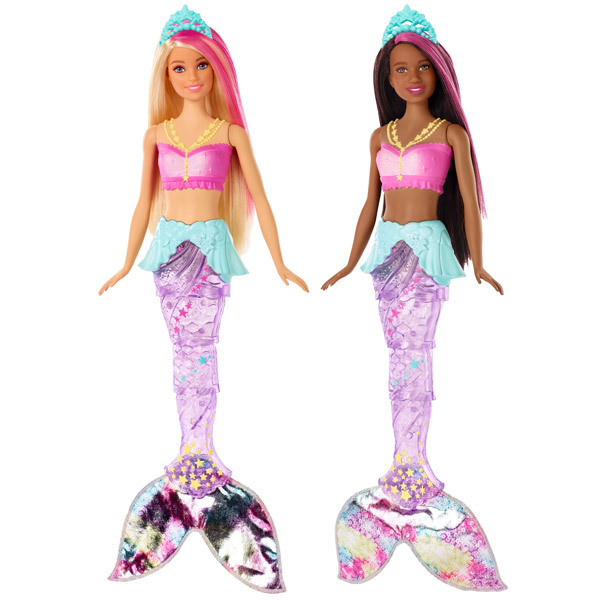 Designed for younger kids, Barbie Dreamtopia inspires little one’s imaginations by taking them on an adventure to a magical world of mermaids and princesses. Come join the fun! Watch this Dreamtopia Mermaid’s tail light up by simply pushing a button or dipping her in water to kick-off a spectacular light show. 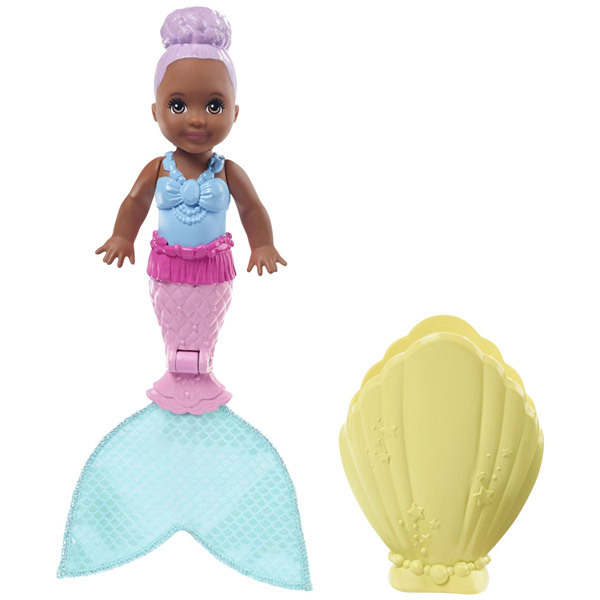 A fun surprise awaits with the Barbie Small Surprise Reveal Mermaid dolls. Open the shell, unwrap her blanket, and watch her fun tail reveal. What’s cool? Since you can place the mermaid back into the shell, the transforming fun never ends! What do you get when you cross Barbie with slime? 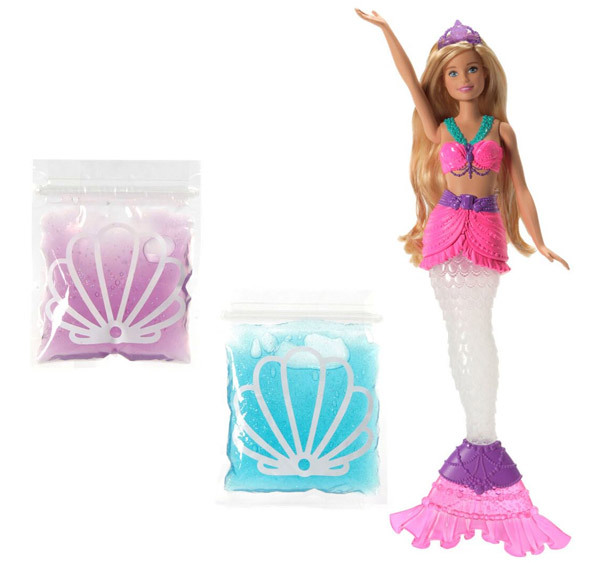 You get the Barbie Slime Mermaid, of course! Now you get to experience the fun of Barbie and slime in one nifty package. It’s the best of both worlds! The two colors of glitter slime can be stored in Barbie’s tail. Imagine all the fun storytelling possibilities with Barbie and slime! 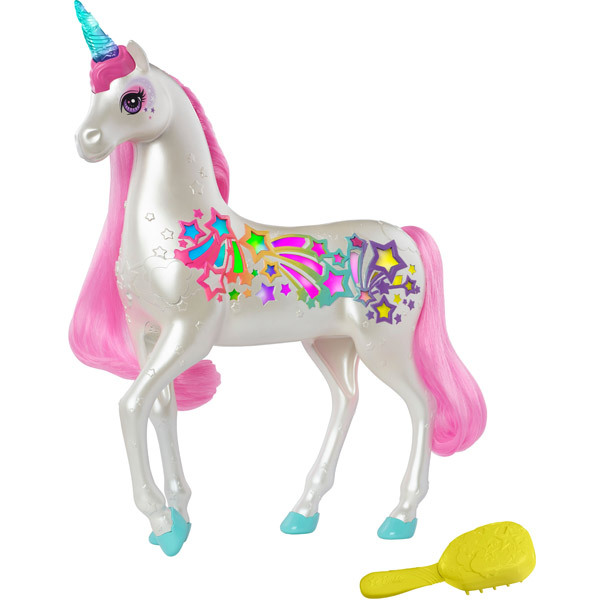 From the Barbie Dreamtopia Rainbow Cove, Brush ‘n Sparkle Unicorn features cool lights and sounds when you brush its hair. Including the Barbie Dreamtopia theme song, this unicorn figure features 4 light and sound shows to dazzle and entertain. What would Barbie be without her friends and family? To inspire imaginative play and develop your child’s social skills, Barbie needs to converse and have adventures with friends and family. Family and friends are at the very heart of the Barbie experience. Dream of being a babysitter? Now you can make those dreams a reality with this set, which includes a babysitter doll, child, and play accessories. Look for the Feeding & Naptime, Potty Training, Stroller Walk, and Bath Time playsets in this assortment. With the Bath Time playset, fill the tub with water and put the toddler inside. Watch as she has some splish splash fun – splashing her arms up and down by pressing a button. When squeezing the rubber ducky, it makes fun bubbles. And who doesn’t love bubbles?! Play out your babysitting adventures by taking your baby for a stroll or going to the park. 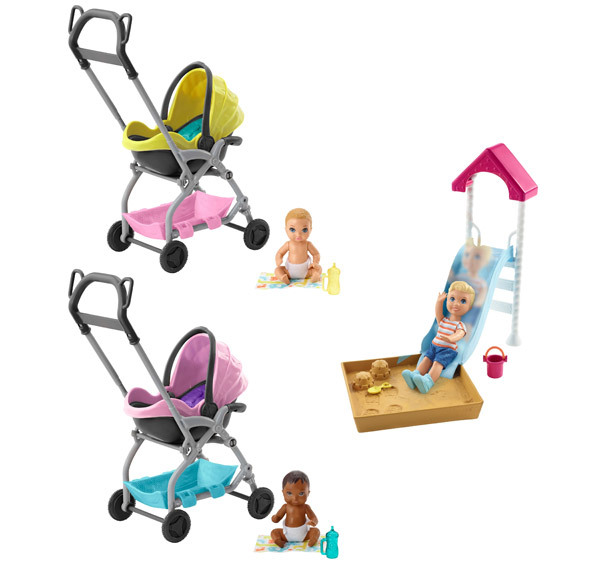 Each set in this assortment will feature a toddler or baby doll along with a stroller, slide with sandbox, or smaller accessories – such as a bottle or pail. Play out your babysitting adventures with the Barbie Skipper Babysitters INC Nursery Playset. This fun set includes Skipper, twin babies, crib converting into a playmat, changing table, shelf, baby bottles, toys, and more. Other fun play accessories include a bouncer and rocking horse. For a more realistic babysitting experience, the baby doll’s diaper is removable to enhance role play. Love horses? 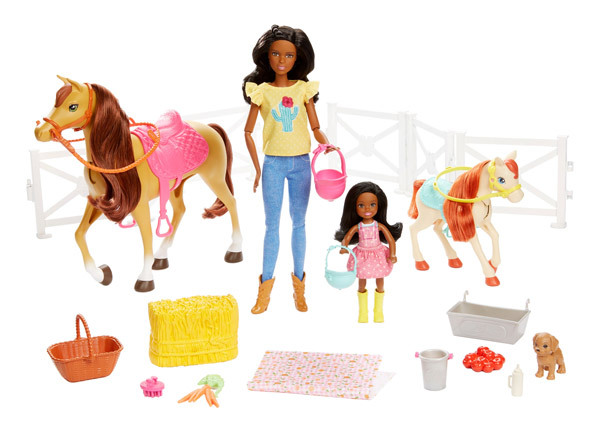 Then you’ll love the Barbie Hugs N Horses playset. 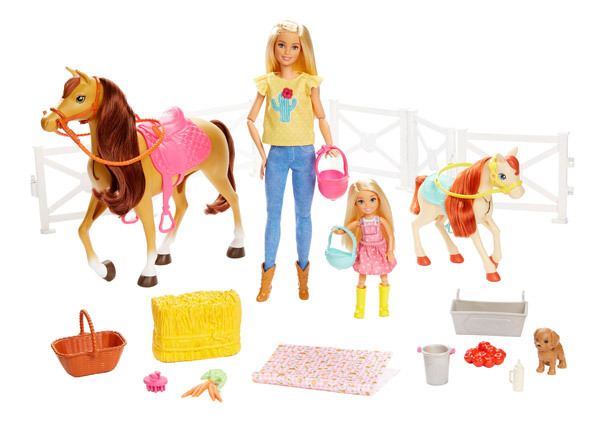 Nurture your own horse and pony with Barbie and Chelsea in this fun set. We love that they feature bobbing heads and a soft mane and tail for a more realistic play experience. After a long day of play in the grassy area, these color-change pets get ‘filthy’. Wash them in the hot water tub to cleanse them. Look for a puppy, kitten, and bunny in this assortment. Each set will come with one Barbie doll and pet accessories. Wearing a bodice with print graphics (ice cream, unicorns, or owls) and a removable fashion bottom, Chelsea is ready for exciting adventures. Each doll in this assortment comes with matching accessories, such as a pair of shoes or glasses, to complete the look and a cardboard piece. Imagine the storytelling possibilities. 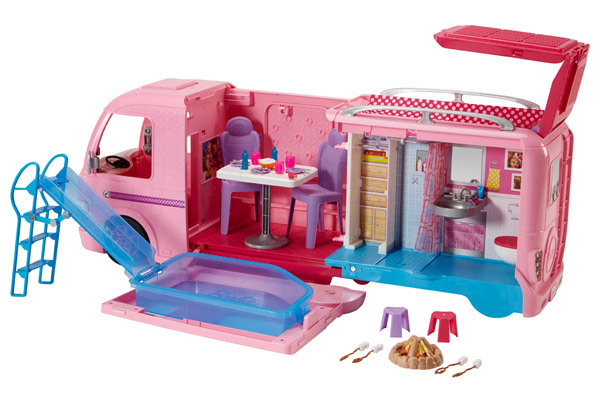 Get ready for exciting camping adventures with the Barbie Club Chelsea Camper. What’s cool? It comes with a camper that transforms into a campsite. Campsite adventures will never be the same with a convertible car, campfire, 2 stools, 2 s’mores, and a guitar. The camper has a kitchen and a bedroom with 2 bunk beds to inspire creative, imaginative play. Who doesn’t love to travel? 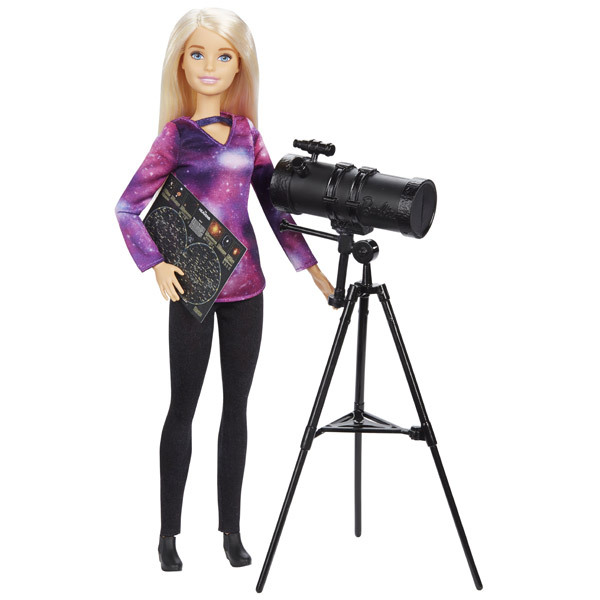 Whether Barbie’s adventures take her near or far, it’s sure to inspire a world of exploration and discovery. Expand your horizons with these products based on the second season of the Netflix series, Barbie Dreamhouse Adventures. Dressed casually and ready for a sightseeing adventure, Barbie is ready for thrilling adventures with her puppy. Bring your travel adventures to life with 10 travel accessories: pet carrier, suitcase with collapsible handle, backpack, and toiletries. Explore the world with Daisy and her little kitty pal. She comes dressed in demim pants, a purple top, and walking shoes. Look for 9 travel accessories like functional luggage and a guitar with strap. Personalize the look of Daisy’s luggage with the included stickers. With a casual, trendy look and a tote bag, Nikki is ready for exploration and fun! She comes with 5 travel accessories like a camera, mug, watercolor palette, and paint brush. 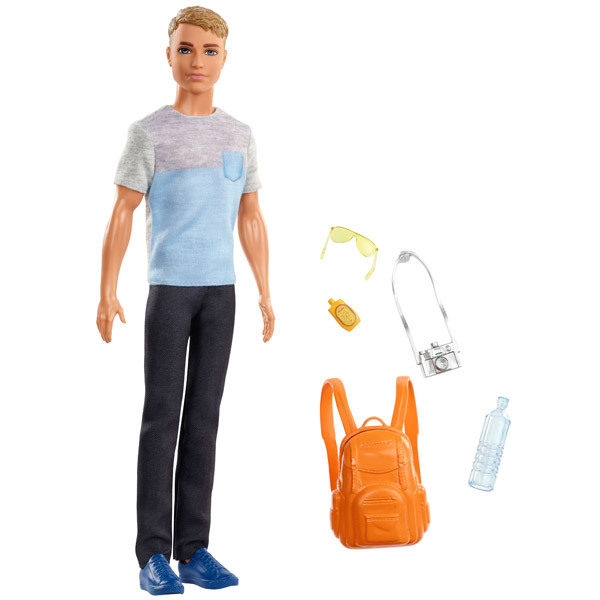 Dressed in a color-blocked shirt, black pants, and sneakers, Ken is ready to tour the world. What’s cool? His camera, water bottle, sunglasses, and suntan lotion all fit in his backpack. Imagine all the storytelling possibilities! Even Chelsea is ready for travels with her little puppy. She comes with a white top, sparkly pink skirt, aqua tights, pink boots, and a blue backpack. Of course Chelsea couldn’t leave home without her cell phone, teddy bear, headphones, sunglasses, and pet carrier with handle and wheels. Skipper, Barbie’s younger sister, is dressed for fun with a gray T-shirt, plaid shirt, casual pants, and shoes. Her backpack holds her camera, binoculars, and tablet. Ready for some fun in the sun? Stacie is ready for exploration and discovery with her yellow and white t-shirt, jacket, denim shorts, and sneakers. Her travel accessories like suntan lotion, drink cup, camera, and visor all conveniently fit into her tote bag. All aboard for fun! 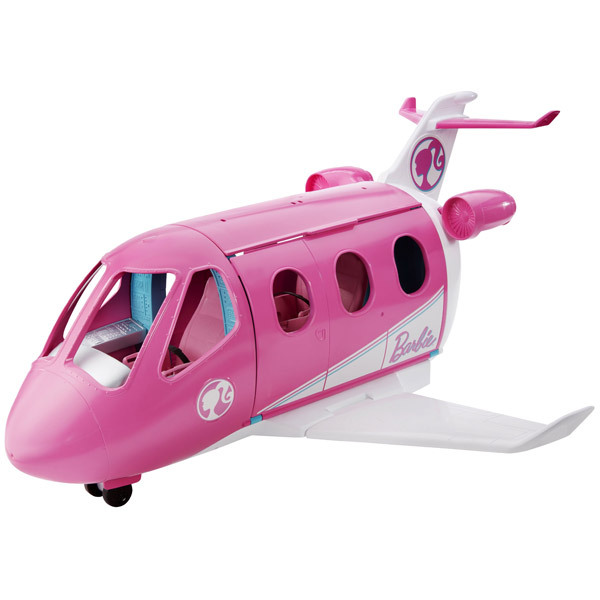 Launching this fall, jet to your travel destination in style with the Barbie Travel Dream Plane. Open the side door to reveal seating for three dolls. The set includes a suitcase storage along with 15 accessories like a dining cart and food pieces to inspire rich storytelling. Where will your adventures take you? Get ready for thrilling adventures aboard the Barbie Travel Helicopter! Cool details include rotors that actually spin, controls, and even seatbelts. 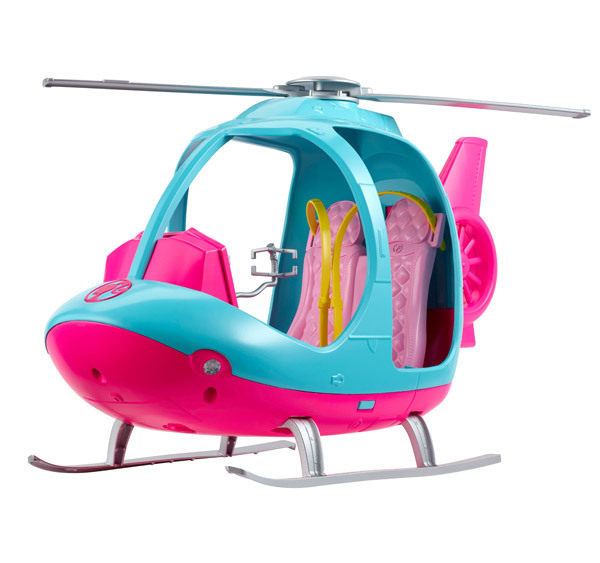 You won’t be able to miss Barbie in this bright blue and pink two-seater helicopter. Dolls are sold separately. 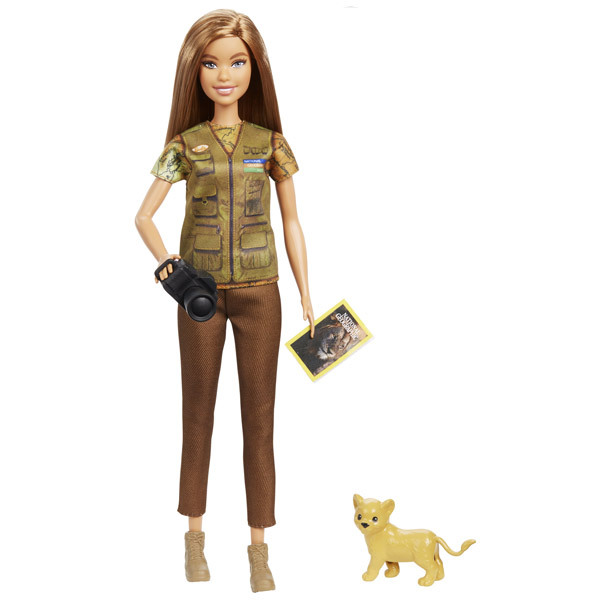 With a focus on exploration, science, conservation, and research, Barbie joins forces with National Geographic in this exciting new product line for 2019. 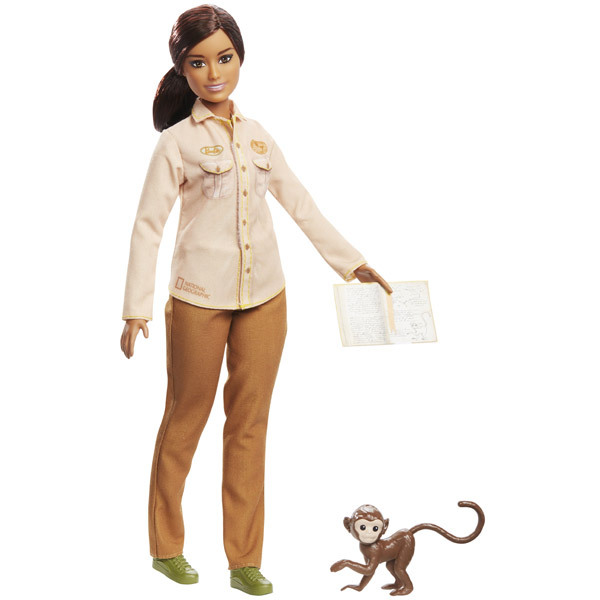 Featuring career dolls and playsets, this line highlights occupations underrepresented by women and authenticated by an advisory council of female National Geographic Explorers. With a focus on adventure and exploration, girls can explore playing out careers from Wildlife Conservationist to Astrophysicist to Polar Marine Biologist and Wildlife Photojournalist. What’s cool? The dolls feature career-specific outfits to bring your storytelling to life. Ever dreamt of being a butterfly scientist? Live out your dreams with this fun playset, which features an Entomologist Barbie doll in her career outfit. The set comes with an Entomologist workstation, insect collection, study equipment, and a bug-infested tree for studying insects in their natural environment. 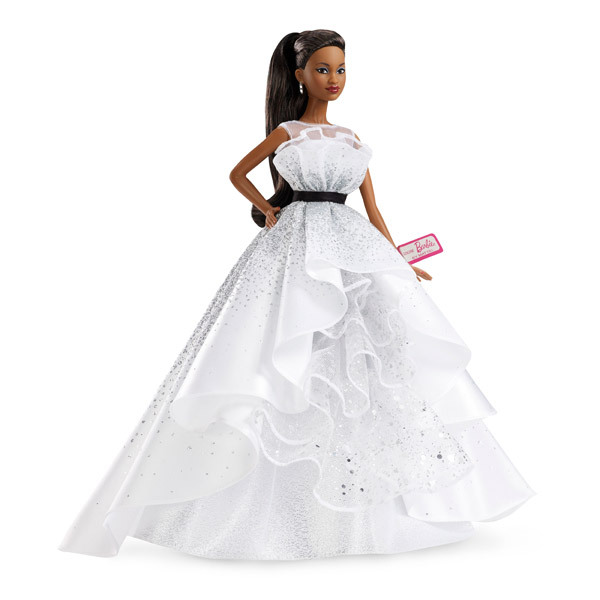 Since its birth 60 years ago, Barbie has inspired young girls to be anything they want to be. With over 200 careers to choose from, what career will you choose? A princess? A president? A political candidate? A journalist? A firefighter? 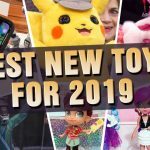 Barbie’s Career line returns with top career dolls with more diversity and choices than ever plus a fun new unboxing experience. Careers in which women are underrepresented is a major focus for 2019. Love decorating cakes? 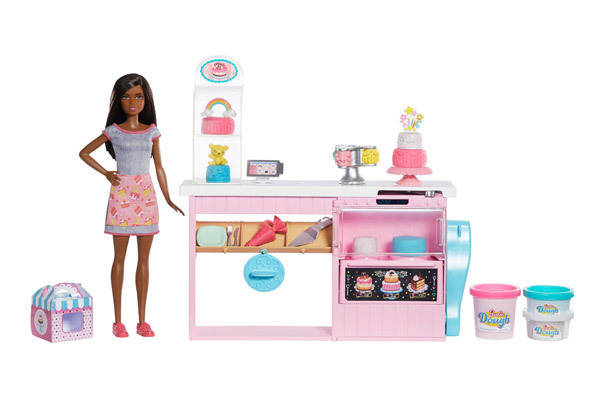 Now you can cook up sweet treats with Barbie! What’s cool? 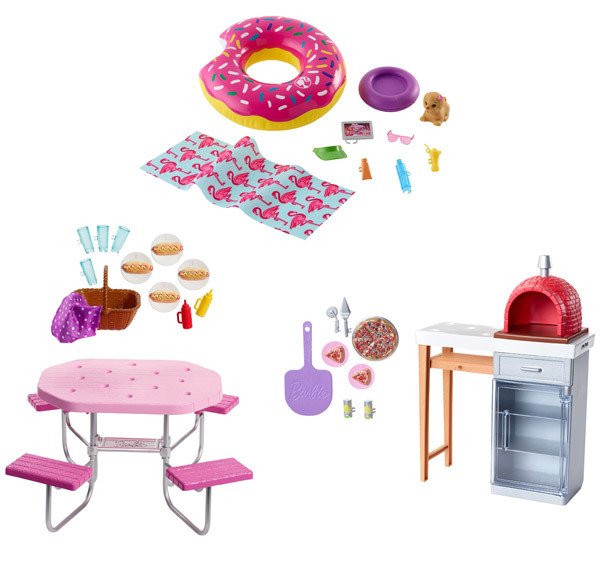 The set includes special Barbie dough that ‘rises’ in the oven. How cool! Featuring three play areas, kids will love baking, decorating, and displaying their baked goods at this fun bakery. Who doesn’t love a good surprise? 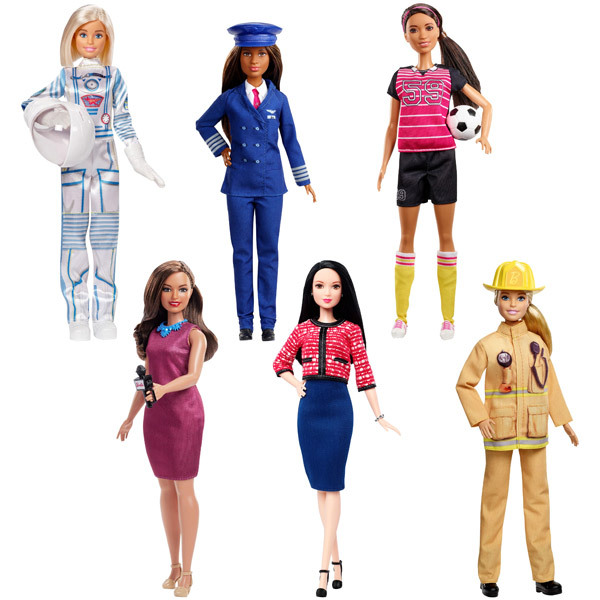 With Barbie Surprise Careers, you get three dolls and six unique careers. 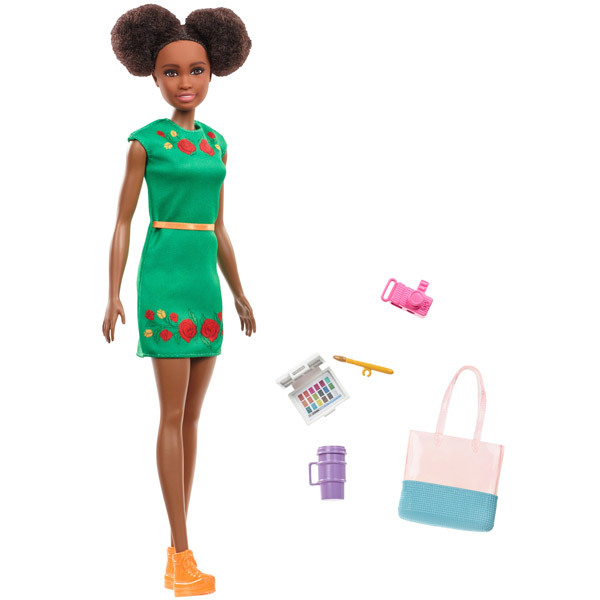 Each doll features two career outfits and accessories. The catch? You won’t know what career you have until you unbox and reveal the surprise. Careers range from biochemist, musician, and vet to artist, athlete, and chef. Imagine all the incredible storytelling possibilities! Spark your girl’s imagination and storytelling with the Estate line. You need a world to tell all your exciting stories, right? Immerse yourself in Barbie’s world and watch her imagination soar to new heights. Welcome to Ken’s Room! This assortment of playsets feature a Ken doll along with a larger accessory and smaller accessories to inspire creative play. 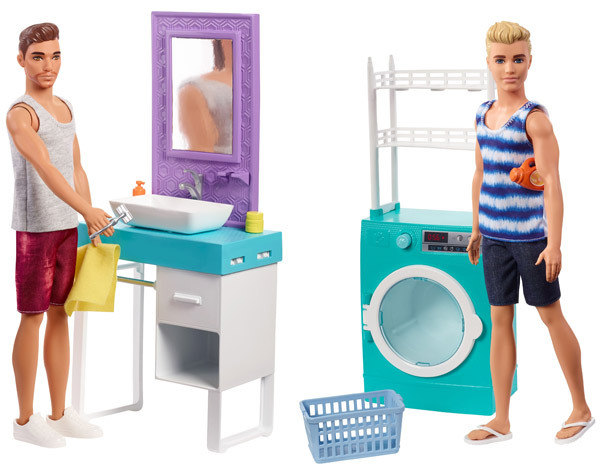 The shaving-themed Ken uses a fun water color change effect, making his beard appear and disappear and it comes with a bathroom sink and vanity. The laundry-themed set offers a washer/dryer combo with functional knob and spinning action. 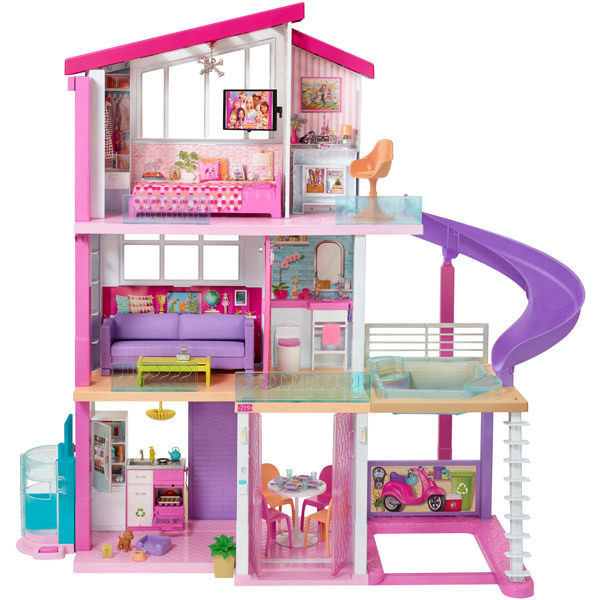 Opening up to 2-feet wide with four play areas, the Barbie House with Doll set comes with a Barbie doll and several accessories to furnish your space. Play areas include an outdoor space with pool; kitchen with built-in sink, stovetop, and flip-down island; bedroom with a flip-down bed and blanket; and a bathroom with a toilet with a functional lid. The best part? Fold it up and the roof doubles as a handle to take the fun anywhere. 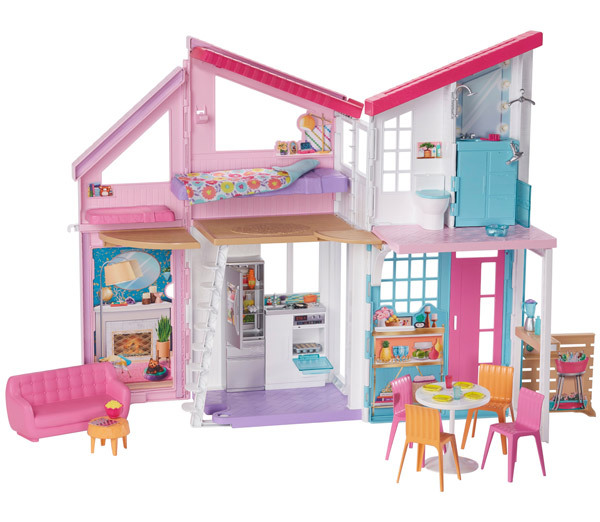 Live out Barbie’s dreams in this magnificent 3-feet tall by 4-feet wide Barbie Dreamhouse. Enjoy three stories of fun! Play in eight different rooms, ride the pool slide, and use the functional elevator. 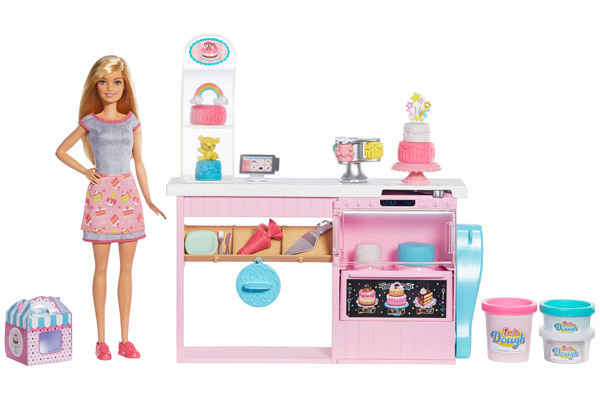 A whopping 70 included accessories enable girls to furnish their Dreamhouse until their heart’s content. What will your Dreamhouse adventures entail? 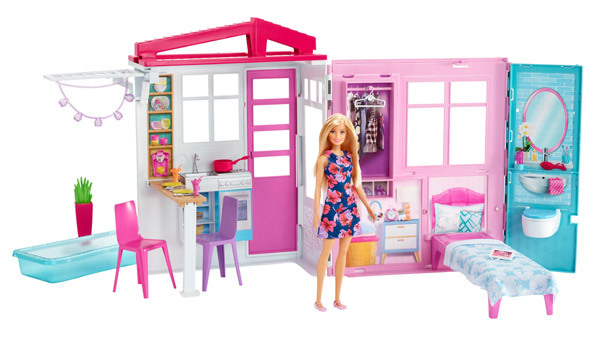 New for this fall will be the Barbie Malibu House, a two-story dollhouse with an opening fridge and oven and a bathroom with a hinged toilet lid and shower. The best part? The Malibu House features several convertible rooms for twice the storytelling fun. The living room transforms into a home theater, the kitchen changes into a smoothie bar, and the bunk bed converts for more guest space. 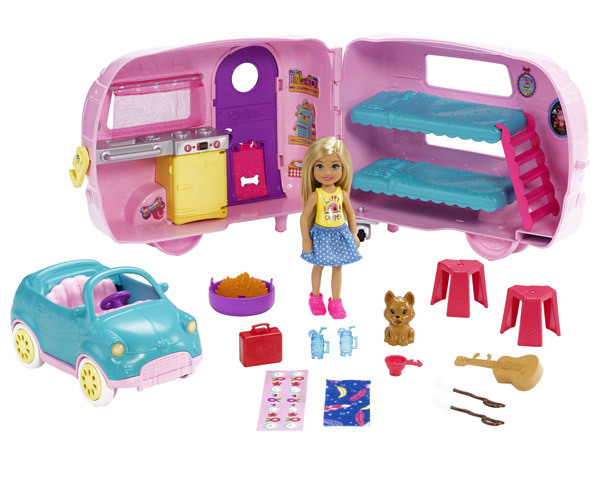 The Barbie DreamCamper is perfect for inspiring endless storytelling fun and adventures, as it converts from a camper into a 2-foot long play area complete with a pool with waterslide, hammocks, sleeping spaces, bathroom, kitchen, and fire pit. Looking for fun outdoor accessories to spice up playtime? Arriving this spring, look for the Barbie Outdoor Furniture Assortment, which features furniture along with themed accessories. The Donut Floatie comes with a water-squirting puppy, beach towel, and it actually floats! The Brick Oven includes food and cookware, while the Picnic Table converts to a table for 2 to 4 guests and includes a picnic basket and accessories. 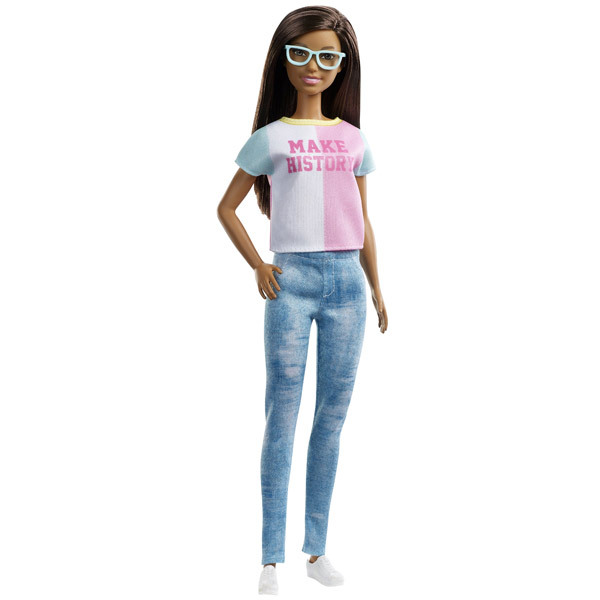 The Fashionistas line is the most diverse and inclusive fashion doll line on the market – continually evolving to better reflect our modern world. 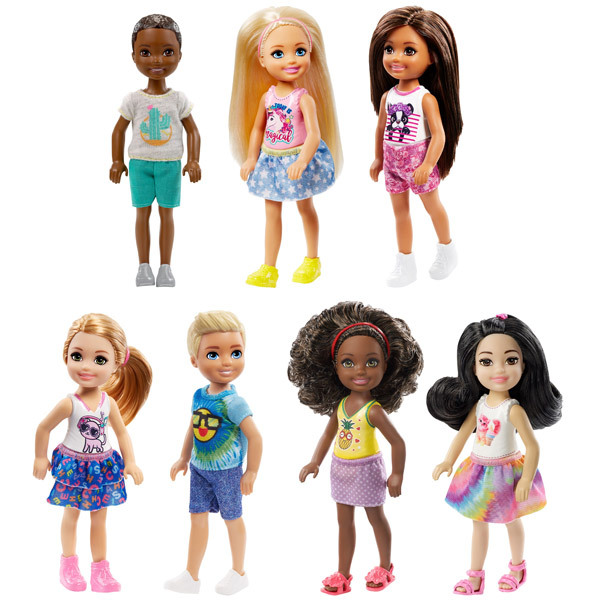 With a wide range of skin tones, body types, hair colors and textures, eye colors, and fashions, it enables girls to find a doll that speaks to them and inspires richer storytelling experiences. 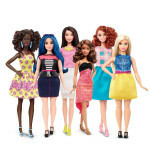 Boasting over 100 unique looks with a wide range of skin tones, eye colors, hair colors/textures, body types, and fashions and better reflecting our world today, it’s easier than ever to find the perfect Barbie that speaks to you and create your own unique adventures and stories. 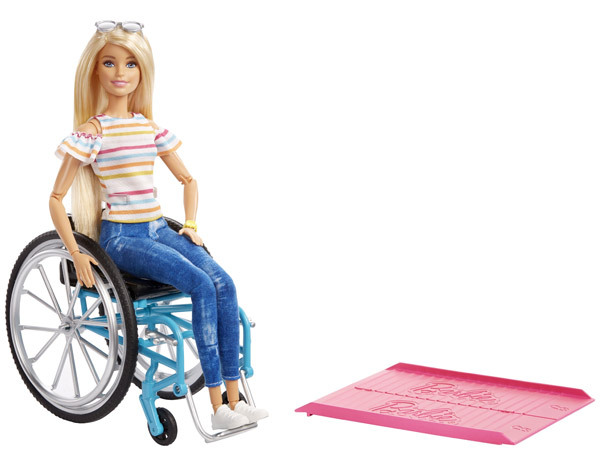 The Barbie Fashionista with Wheelchair Assortment challenges the traditional view of beauty and expands its definition of inclusivity with the Wheelchair assortment. 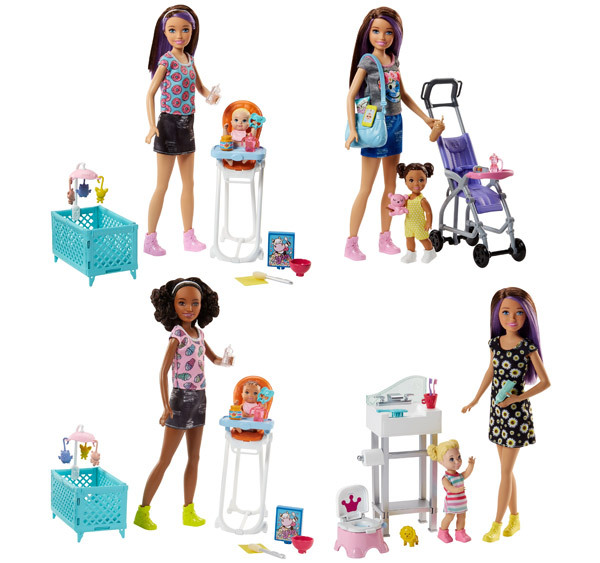 This assortment features Made-to-Move Barbies that fit into the wheelchair with ease. The included wheelchair fits all body types in the Made-to-Move line from tall to curvy to original. What’s cool? The wheelchair is realistically modeled and the set comes with an accessibility ramp accessory for playing with your Barbie Estate products. It truly is a watershed moment for those with disabilities. 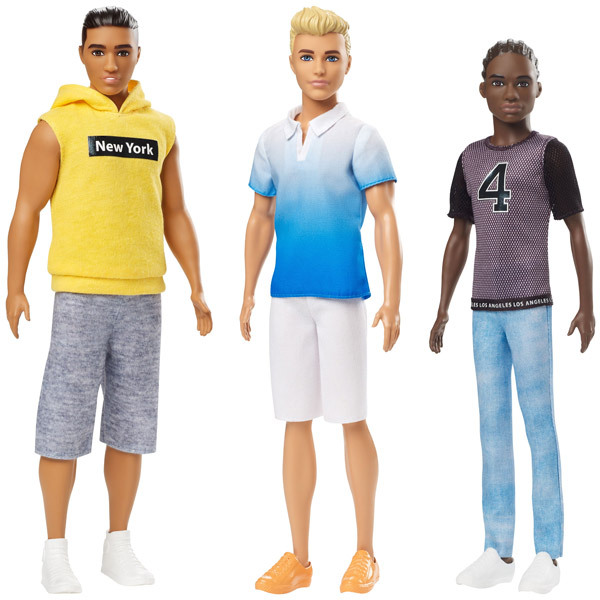 Featuring contemporary looks and styles, the Barbie Ken Fashionista Doll Assortment comes with a mix-and-match Ken doll. Collect your favorites and mix-and-match their fashions and shoes to expand the storytelling fun. 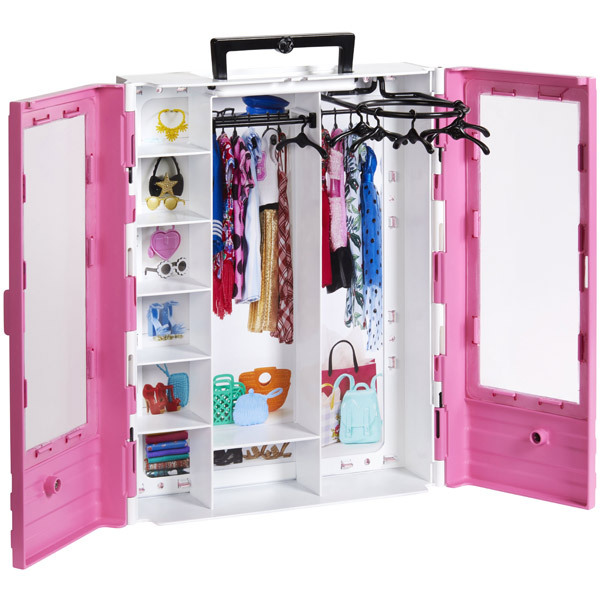 Open the portable Barbie Ultimate Closet to reveal 5 cabinets, hanging racks, and a fold-out rack. Six hangers are included for hanging your Barbie fashions. A convenient carry handle allows for easy transport. What exciting stories will the Ultimate Closet inspire you to tell? 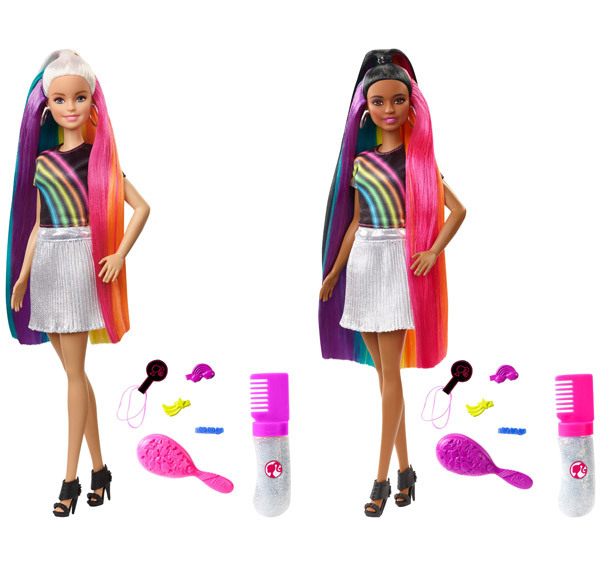 Now your aspiring stylist can create her own gorgeous hairstyles for Barbie. Barbie has long, beautiful rainbow-colored hair hiding beneath her locks. A glitter comb allows you to add that extra sparkle, while a brush, hair clips, and rubber bands enable more complex looks. She wears a stylish rainbow print top, silvery skirt, black shoes, and a pink bangle. Explore a world of styling fun and storytelling with the Rainbow Sparkle Hair Assortment. Ever wish you could curl your Barbie doll’s hair? Now you can with the Barbie Ultimate Curls Hair Assortment. Go from ordinary to extraordinary with tight or loose curls without any heat application. Cool accessories include a curling iron and curlers. The best part? Curling is so easy and you can easily brush it out and restart the styling fun again and again! In celebration of Barbie’s 60th Anniversary, Mattel will introduce special commemorative Barbie dolls ranging from career dolls to specialty dolls. Loyal Barbie fans won’t want to miss adding these gems to their collections! Throughout Barbie’s 60 years of existence she has had more than 200 careers. Celebrating her 60th anniversary, you’ll see a range highlighting her more iconic positions as well as new professions. Look for a pilot, astronaut, journalist, political candidate, athlete, and firefighter. Women still remain underrepresented in professions like political candidate, journalist, and firefighter, so it is wonderful to see an expansion into these professions. Barbie is certainly taking a step in the right direction. Donning career-themed outfits, the dolls in the line feature distinct looks with a variety of body types, skin tones, eye colors, and hairstyles to inspire richer storytelling experiences. Arriving this spring, celebrate 60 years of Barbie magic and fun with the Barbie 60th Anniversary doll! With a stunning design and plenty of sparkle to boot, there’s no shortage of fashionable fun. 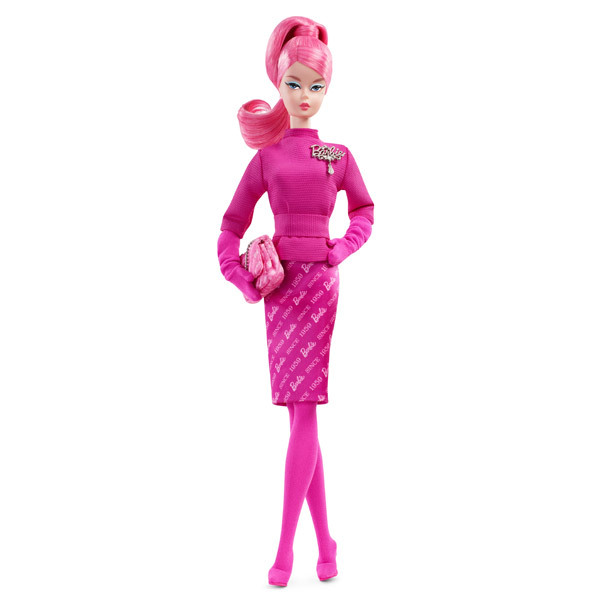 Fans and collectors alike will appreciate the homage to Barbie’s heritage. Featuring a trendy look with a modern take on a classic style, celebrate Barbie’s 60th anniversary in style with the Barbie Proudly Pink Doll. Designed for the adult Barbie collector, this doll features the pizzazz of head-turning, red-carpet looks with a posable Silkstone body and beautifully sculpted vintage-style face. Available this spring with an SRP of $75.00, it won’t come cheap — but it makes a fantastic addition to your collection. We hope you enjoyed your sneak preview of all things Barbie! 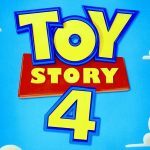 Which Barbie dolls and playsets are you most excited about? Leave your thoughts in the comments below. We’d love to hear from our fans! Happy Adventures!